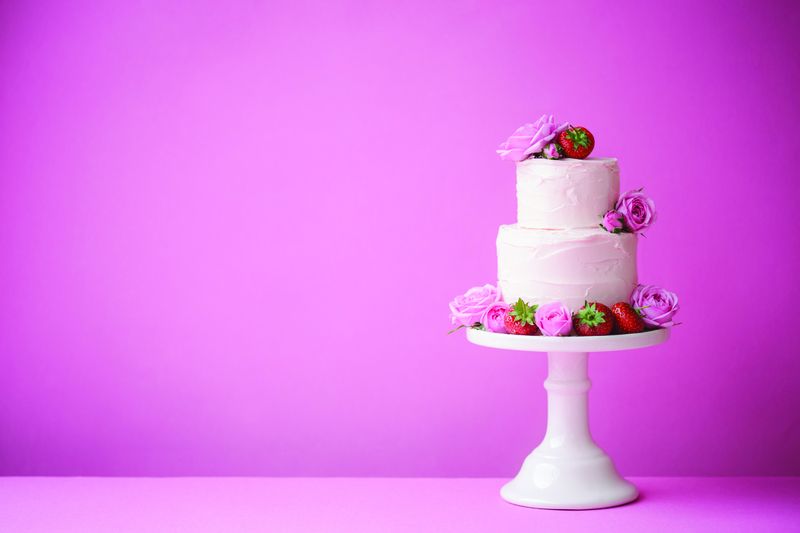 Choosing what type of cake you’d like on your wedding day has to be one of the most delicious decisions – who wouldn’t want to sample an array of bite-sized sweeties? 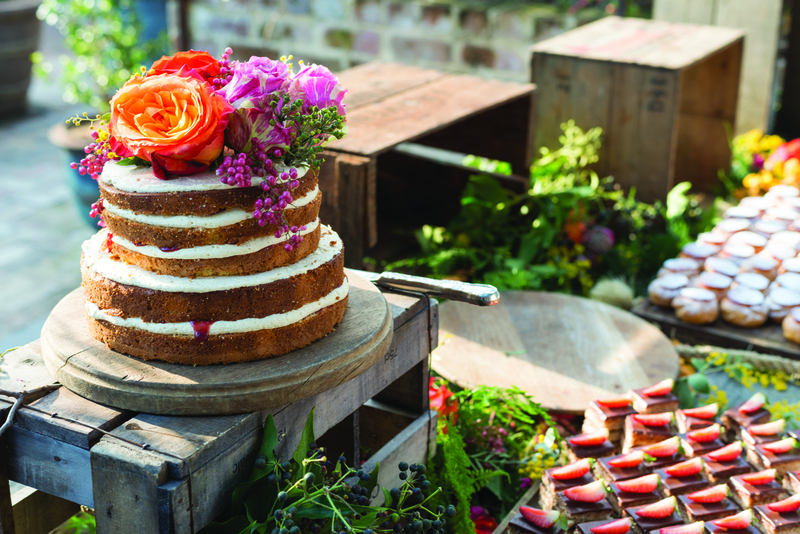 Whether you are thinking lemon yoghurt cake with margarita buttercream, a white-on-white classic or rustic naked hummingbird cake, one key question used to be how many guests you would need to feed. Now it’s “how many can handle dairy?” Which is why the dessert table option is becoming more popular. A selection of raw dairy-free dessert options will be popular with the health-conscious and even having a huge bowl of plain fresh fruit salad means everyone can enjoy a treat. Trending now: ice-cream scoops and retro dessert treats like brandy snaps and cake pops covered in hundreds and thousands. If you do choose to let them eat cake, generally, three tiers will serve 50-100 guests, and you’ll likely need five layers for 200 guests or more. One way to save yourself a cake-related budget blow-out is to order one small beautiful decorated display cake, and enough sheet cake to feed the masses. If you’d like to adhere to tradition, give modern cakes a miss, they don’t keep well, and stick to fruit cake. Wrap it well in plastic wrap, then foil, then place in an airtight plastic container to freeze. Allow the cake to slowly thaw in the fridge for a few days before eating. Fruit cake is amazingly resilient to the ravages of time. Researchers found 100-year-old fruit cake made by Huntley & Palmers wrapped in paper and kept in a tin, left over from Scott’s Terra Nova expedition, preserved at Scott’s hut in Antarctica. However, nobody said if it still tasted good.